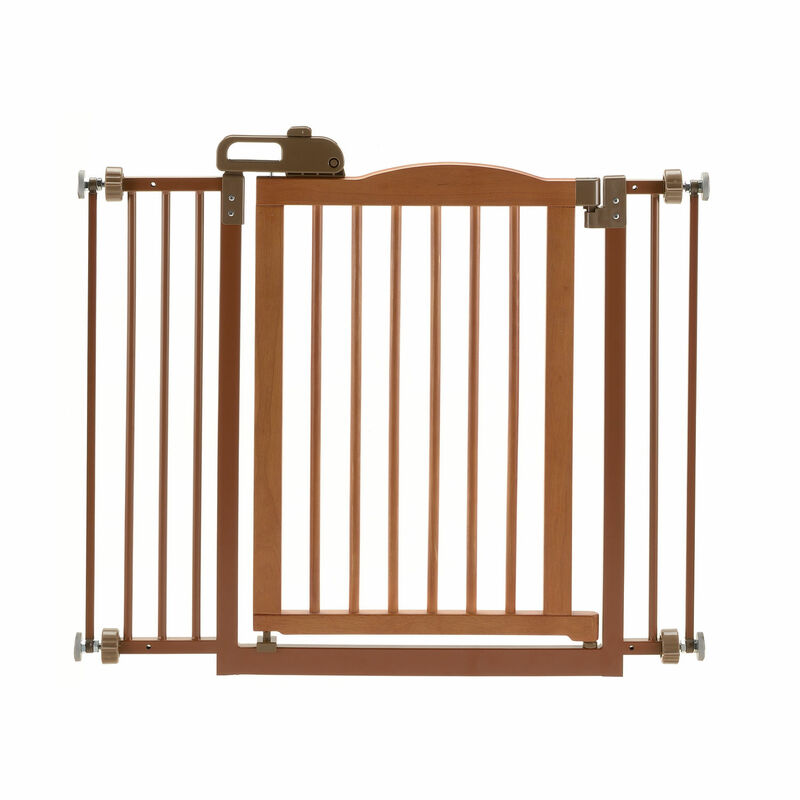 Wouldn't this beautifully crafted pet gate look great in your home? Its "tension-mount" design allows you to attach it to a doorway/hallway opening to keep your pet confined to his/her own "special" area. The gate door allows you to move freely from room to room. The "one-touch" handle design provides the option of opening/closing the gate with one hand. 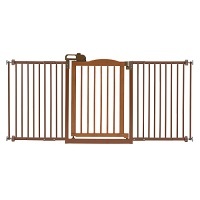 Lockable gate door provides additional pet security. 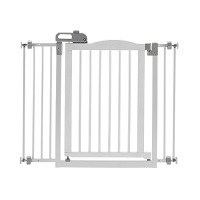 Gate adjusts from 32.1" to 36.4" wide.